Assassin’s Creed 2- one of the best games of this generation. The first Assassin’s Creed game released back in 2007 was a flawed wonder. When we looked at the first installment of this legendary franchise last week, we talked about how flawed yet wonderful it was, but that it lacked the special touch that makes a game earn its “legendary” status. Assassin’s Creed may not have had that special touch, but it definitely had that potential. And while much of that potential was wasted, Ubisoft pulled up their socks and dished out another Assassin’s Creed title two years later which had everything that the original lacked. It was brilliant, a work of art, and to this day it is regarded as one of the best games of the generation. Why, though? What’s so special about it? What does this game have to have earned that status that so many other games from franchises with a larger pedigree could not earn *cough*Resident Evil*cough*? Why was it so special that it spawned two sequels of its own before Ubisoft committed to releasing an actual, full fledged Assassin’s Creed III? Well, let’s have a look, shall we? Assassin’s Creed II is to Assassin’s Creed what Uncharted 2 is to Uncharted, what Killzone 2 is to Killzone. The changes made in AC2 made the game radically better; so much better, in fact, that compared to the new sequel, the original Assassin’s Creed now seemed like a mere beta testing, while the real deal was yet to come. As with Assassin’s Creed, the hype surrounding Assassin’s Creed II was extremely high, and this time, it seemed that Ubisoft was about to deliver on its promise. 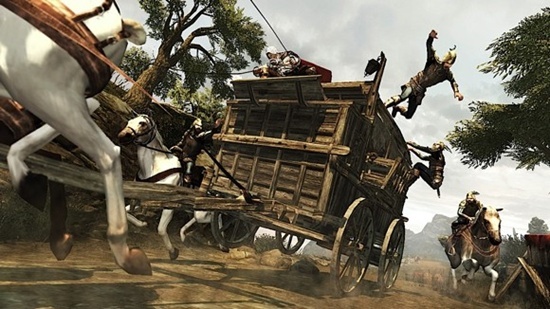 When AC2 was released, many of the faults were still very obvious- the combat was as stupid as it was in AC1, there were some repeated missions, but overall, the game was radically different. The chase scene was amazing. 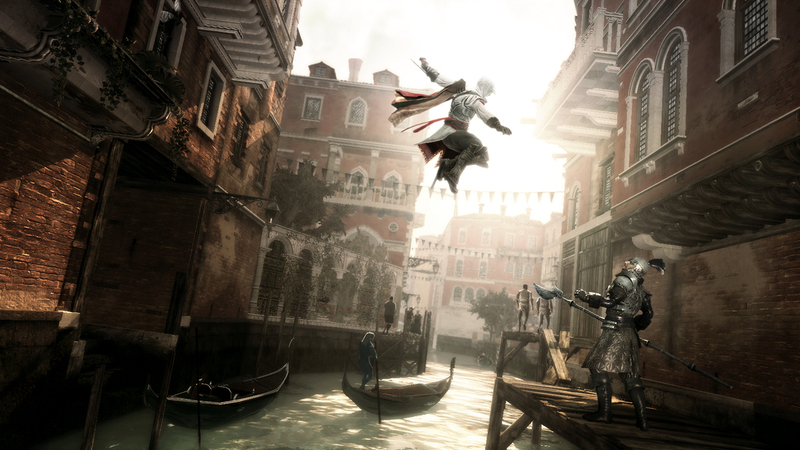 Unlike Assassin’s Creed, Assassin’s Creed 2 didn’t follow a set structure for the entire game. Instead, it revolved around the story, and the game was more about events. And boy, was the story one to marvel at. The political struggles in Renaissance Italy were engrossing, and characters like Leonardo Da Vinci, Niccolo Machiavelli and Mario Auditore grabbed hold from the very beginning. Assassin’s Creed II was a treat for gamers and history fanatics alike, and while the game was lacking in the tension and gritty atmosphere of the first game, it was much richer, much better developed and overall more refined. The protagonist, Ezio, was one we today call one of the best characters to have been introduced this generation. His charm and charisma worked on us as well as they did on the characters in the game, and his motivations and emotions gave his character the depth that Altair always lacked. While Altair was the “cooler” protagonist, given that he had been born as an Assassin and was the cold and calculating kind of protagonist that so many of us want in our games, Ezio was a much better developed character. 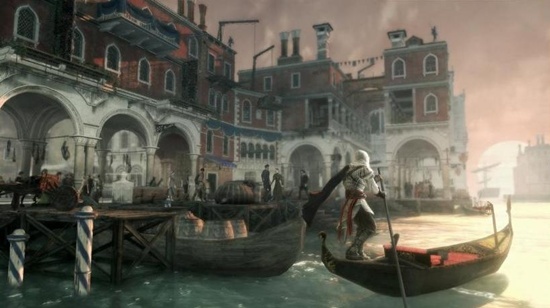 Venice was one of the best cities Assassin’s Creed has ever visited. Everything we loved about Assassin’s Creed was still here, and it was done better than before. The cities were dripping with atmosphere, feeling more like living, breathing 15th century renditions of their real life counterparts than we thought possible. There was more to do than ever before- the side quests had been amped up in quality, quantity and variety; there were feathers to collect (it’s not as stupid as it sounds); there were three major cities to explore. And who could forget the economy? One of the many, many innovative features that Assassin’s Creed II introduced was the amazing economy system, where you managed the economy of an entire town named Monteriggioni. Of course, the system was made larger and much better with Assassin’s Creed: Brotherhood, but w’ll talk about that in the next article. Managing the entire economy of Monteriggioni was extremely addictive, enjoyable and very rewarding. Earning money in troves and spending it on renovating and erecting new shops and structures to attract tourists to the village had a fair balance to it, and while it had a lot of scope for expansion and did not really concern the story itself, it was one of the best additions to the formula. Apparently, it wasn’t until the 15th century that people learned how to swim. Good job, Ubisoft. There were other improvements as well. Some were logical, like being able to swim (Altair was a highly trained, super-skilled assassin, and he couldn’t freaking swim?) while others were pleasant surprises, like being able to use gondolas. The cities of Venice, Tuscany and Florence were beautiful and accurately rendered, and exploration and platforming were as enjoyable as they had been in Assassin’s Creed 1, if not better. The introduction of several weapons, such as a gun and, of course, the coveted double hidden blades, improved the combat slightly, if not completely overhaul it, and the changes were all for the better. The wanted system, or the notoriety system, as known in the games, was much improved, and buying and equipping different types of armour and seeing our health bar increase block by block left a warm feeling in our hearts. Ubisoft had managed to do something we had all expected two years back with the original AssCreed. They had delivered a revolutionary, memorable game that would set the standard for similar titles in the future. Sure, Assassin’s Creed II still had its flaws and had a lot of room for improvement, but what game doesn’t? See that gondola? Yeah? WHY, LOOK AT THE SUPER AWESOME ASSASSIN, IDIOTS. 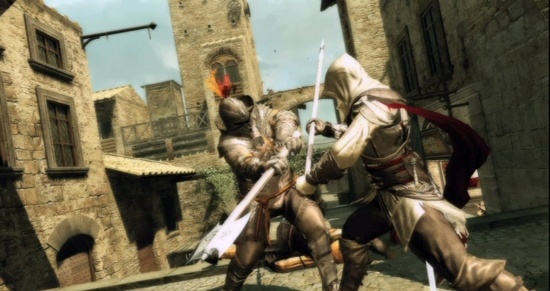 In fact, Assassin’s Creed II was so good, its universe and characters went on to spawn two sequel of their own, creating a mini-trilogy within the main trilogy. And were those games good? In Part 3 of our retrospective, we look at the games that improved on the legendary Assassin’s Creed 2- Brotherhood and Revelations. So check back next week, and tell us what you think in your comments below.